Bayern Munich president Uli Hoeness has slammed Mesut Ozil, claiming his ‘image is a lot better than he is’ at football. However, his rant about the German playmaker didn’t stop there, the 66-year-old going on to admit his disbelief that Unai Emery picked him as one of his five Arsenal captains, along with Laurent Koscielny, Petr Cech, Aaron Ramsey and Granit Xhaka. Hoeness’s latest comments only serve to prolong the row that has seen Ozil quit international football following Germany‘s disastrous World Cup campaign. The 29-year-old suggested that he had faced racism for his Turkish roots and claimed he was turned into ‘political propaganda’ after he was pictured alongside controversial Turkish president Recep Tayyip Erdogan. 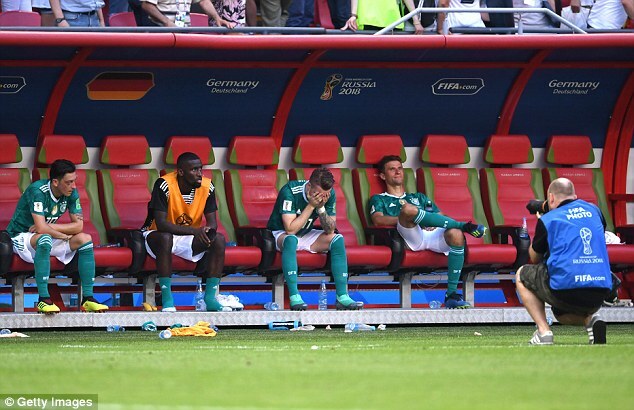 Ozil came in for heavy criticism after Germany’s humiliating first-round departure in Russia – their worst World Cup performance in 80 years. 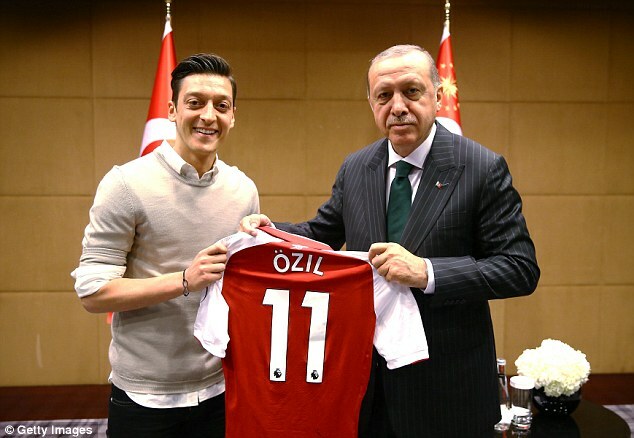 And Hoeness, who claimed last month that Ozil hadn’t won a single ‘duel’ on the pitch since before the 2014 World Cup, has once again slammed the Arsenal star, insisting he should have issued an apology after meeting up with Erdogan. 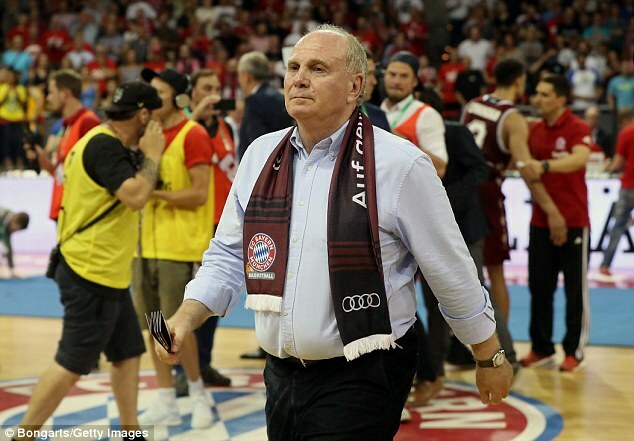 ‘We would have been spared the whole theatre,’ Hoeness told Sky Sport Germany. ‘Ozil should have been forced to make a statement. But leaving that without explanation was probably the biggest mistake ever. ‘I’ve been watching the player for a long time and he’s a well-marketed product whose image is a lot better than he is, which is the only big blame for me. ‘Had [Germany coach Joachim] Low gone to Arsenal more often in London and looked at him properly, he probably would not have taken him for sporting reasons. 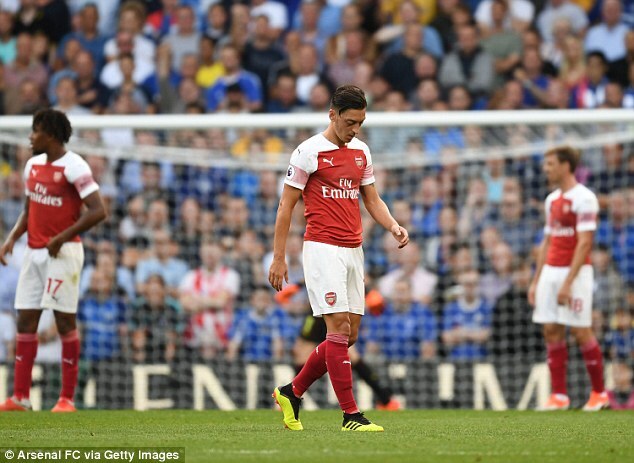 Hoeness’ latest comments came after Ozil was substituted by Emery against Stamford Bridge at Chelsea, with the scoreline still firmly in the balance at 2-2. Ozil will be hoping to keep his doubters quiet when the Gunners take on West Ham at home in the Premier League on Saturday, still looking for their first points of the campaign.